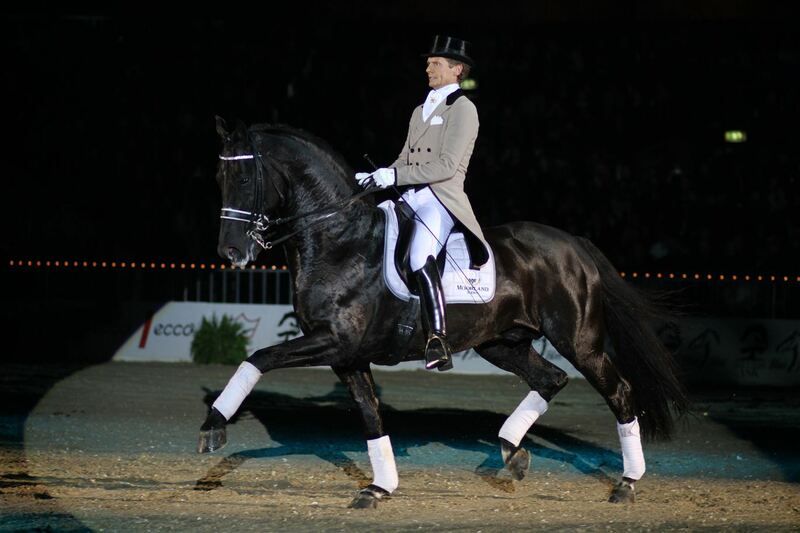 Voice, black KWPN Stallion, by (De Niro / Rohdiamant) born in 2002, standing approximately 16.2 hands. Voice's pedigree is superb - by De Niro, arguably one of the best two Donnerhall sons to combine sport and stud duties; in combination with Rohdiamant, he brings a valuable injection of Rubenstein blood, which is harder to find now; and the Dutch mother line speaks for itself - grand mother Gelbria produced the talented stallion 00Seven (a full brother to Rohbria), and the Grand Prix horse Cadence. 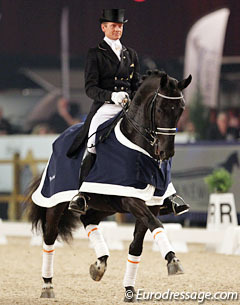 Her mother Ilbria produced the international Celiton, and was granddam to the Olympic horse Barbria. 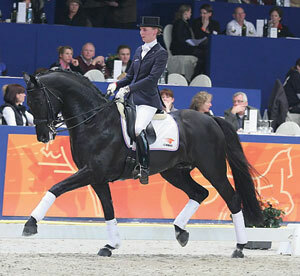 The third stallion, Doruto, is a Dutch breeding legend - WBFSH leading dressage sire 1998, and sire of top competitors such as Barbria, Ideaal, Chevalier... Voice was 8th, then 7th, in the PAVO Cup as a young horse, and competed in the World Championships for 5yr olds - coming tenth overall. 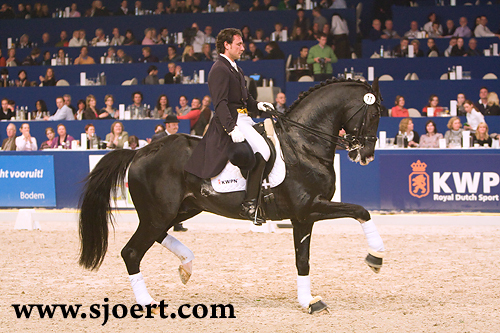 He performed a spectacular clinic under Edward Gal at the KWPN stallion show in 2011 - he recieved a standing ovation, and became the talked about stallion in Holland. 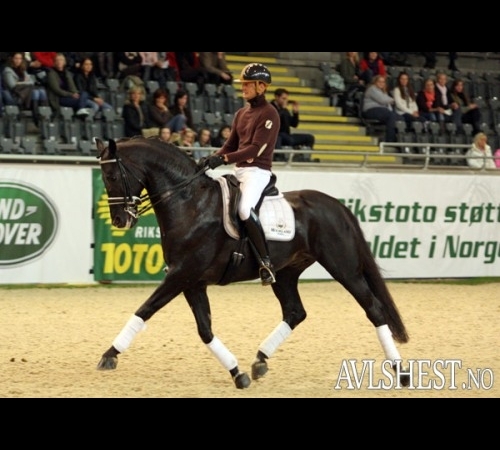 He won his international debut, and has started competing at Small Tour with a decisive win. 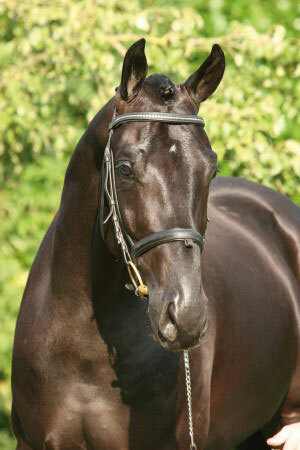 Voice is totally free of Jazz or Ulft blood, so is very popular for the Dutch marestock. Voice's foals are notable for their flexibility and uphill movement, and his first daughters performed well in their mare tests in 2010.